Right now, all around us, the world of education is changing. From the interactive whiteboards of London classrooms to tablet textbooks in refugee camps, the education of yester-year is simply no longer enough. Here at the Commonwealth Education Trust (CET), we’re seeing this change, and we’re loving it. But while we embrace these new developments and the technology that underpins many of them, we also know that change cannot, and will not, happen without teachers who are adequately trained and supported to realise these new possibilities. A good teacher can make a huge difference to a child’s education – especially for disadvantaged children – with one report from the Sutton Trust in England noting that ‘for poor pupils the difference between a good teacher and a bad teacher is a whole year’s learning.’ However, in nearly one-third of all countries that reported to the UNESCO Institute of Statistics, less than 80% of primary school teachers were trained to national standards in 2014. Even more worryingly, the world needs almost 69 million additional teachers to achieve the Sustainable Development Goals (SDGs) by 2030. And that’s where we step in. CET is harnessing its expertise in pedagogy and teacher training, developed through the facilitation of international Massive Open Online Courses (MOOCs) for a number of years, and delivering this in an innovative, accessible and sustainable format that will reach those teachers who need it most. By taking the material from our Foundations of Teaching for Learning course and adding local facilitators, peer collaboration, and online communication, we are creating a new, innovative model of professional development that will empower the teachers of today – and make them ready for tomorrow. 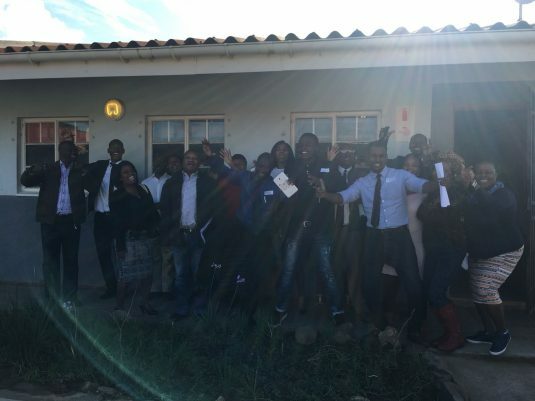 Our pilot project in South Africa in collaboration with JET Education Services, has already provided a lot of valuable insight. We are taking the learning from this programme and using it to shape our work moving forward, ensuring that as we facilitate the programme, we ourselves are learning how best to support teachers. It’s a process where the facilitators and educators are all learning and teaching together – the education of the future. We invite you to follow us on Facebook, Twitter and through our website as we seek to shape the future of education in the Commonwealth through its teachers. We hope you will join us on the journey.